From #AvoToast to Matcha sprinkled on everything; these days we’re all trying to be more conscious when it comes to our food. 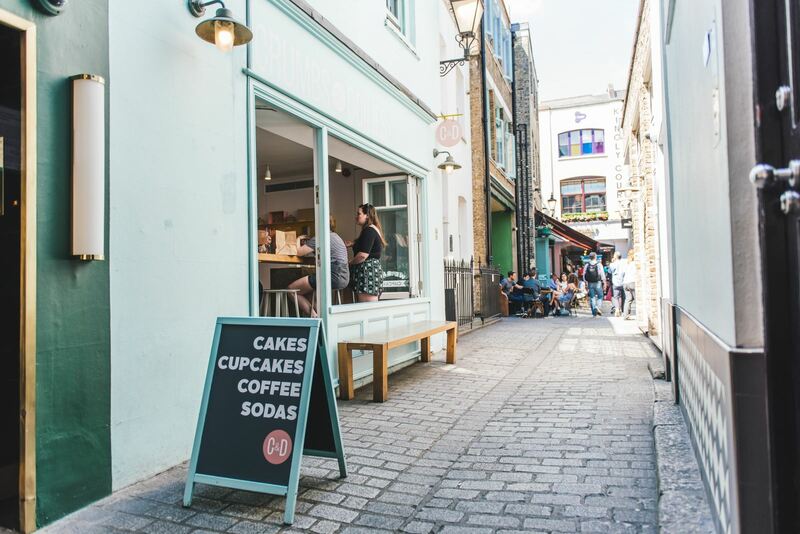 With so many restaurants and cafés to choose from, whether you’re vegetarian, vegan or flexitarian you’ll have no problem indulging your meat-free munchies in Carnaby. From starters to desserts, Darjeeling Express offers vegan and vegetarian dishes for all courses. This traditional home-cooked Bengali cuisine comes by the bowl-load and is perfect for sharing – so gather up your posse and dig in. The good people at Rosa’s Thai are sensitive to the plight of non-meat eaters who struggle to find great food, so they’ve got a full vegetarian menu (where many of the dishes can be made vegan) to choose from! Try flavourful favourites like Drunken Noodles and Grilled Aubergine Salad. They also have a vegetarian cookbook that you are able to purchase online so that you can make your own veggie thai meals at home. An NYC-inspired restaurant isn’t the first place you’d think to find vegan food, but Dirty Bones are defying expectation with “The Vegan Classic” burger. Made with the Moving Mountains plant-based burger, vegan cheese, red onion, gherkin and veganaise on a soft seeded bun, this is the perfect place to go for greasy American comfort food. Maybe they’re just showing off, but Jinjuu don’t just have a few vegan dishes dotted around their menu – they have a complete vegan menu! These experts of Korean Cuisine offer unique, delicious dishes such as Wild Mushroom Jap Chae, with sweet potato noodles and tofu, and Mushroom Tacos made with portobello mushrooms and kale. 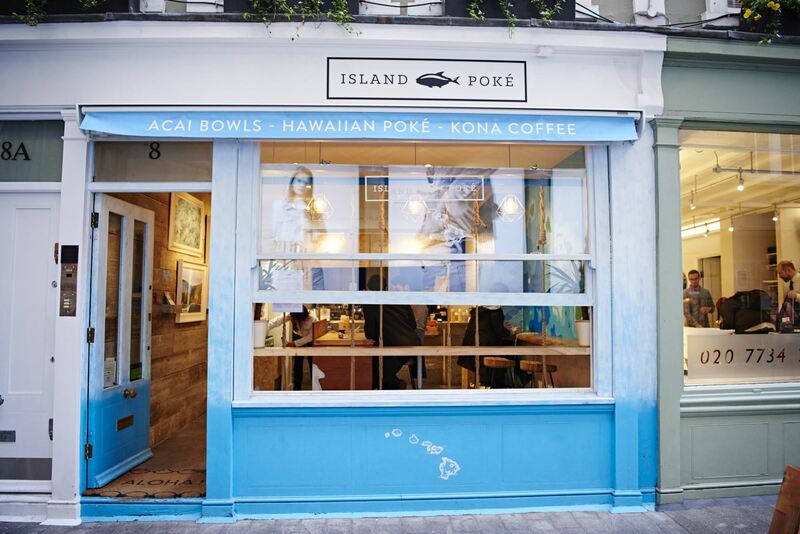 Picture yourself on a Hawaiian beach – Cocktail in one hand and an authentic Hawaiian Poké bowl in the other. Well, Island Poké can’t give you the beach or the cocktail, but they can offer you the uber-tasty Poké bowl. 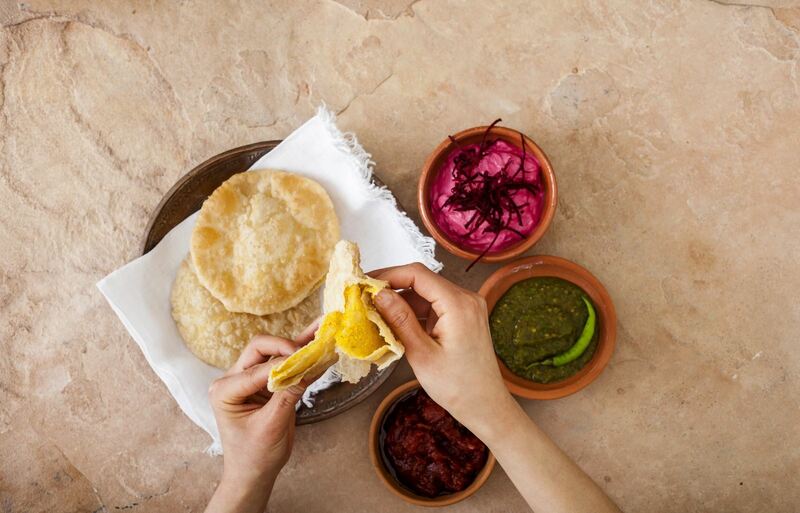 For a meat and fish-free option, build your own ‘BesPoké bowl’, with a huge selection of veg, pulses and sumptuous dressings. Fancy a sweet vegan treat? Dig into a dozen vegan cupcakes at Crumbs & Doilies, where the cakes are essentially edible pieces of art. Choose from vegan flavours such as Cookies & Cream, Biscoff, Red Velvet and many more. Looking for a detox of all the bad stuff? Head to The Detox Kitchen for nothing but goodness. 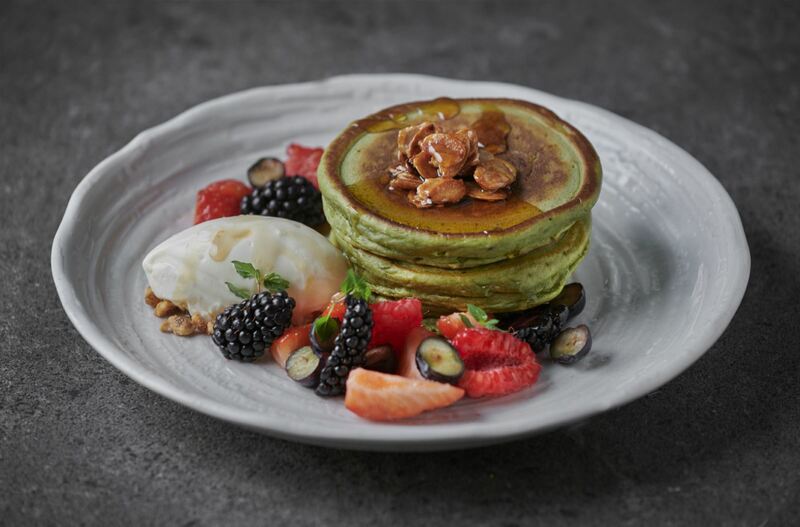 You will find that their healthy menu is free from weat, dairy and refined sugar making it ideal for a Vegan feast or just an alternative healthy option. 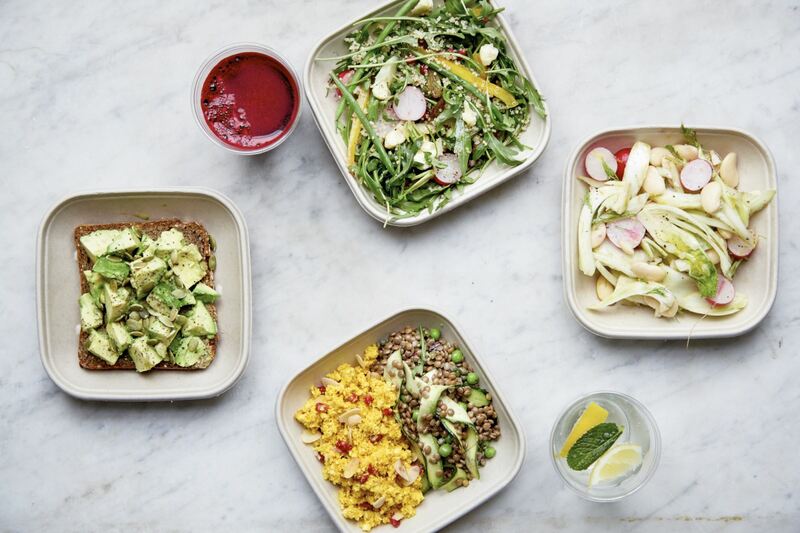 Looking for that instagrammable meal that is also healthy and delicous? Look no further because Farm Girl has it all. 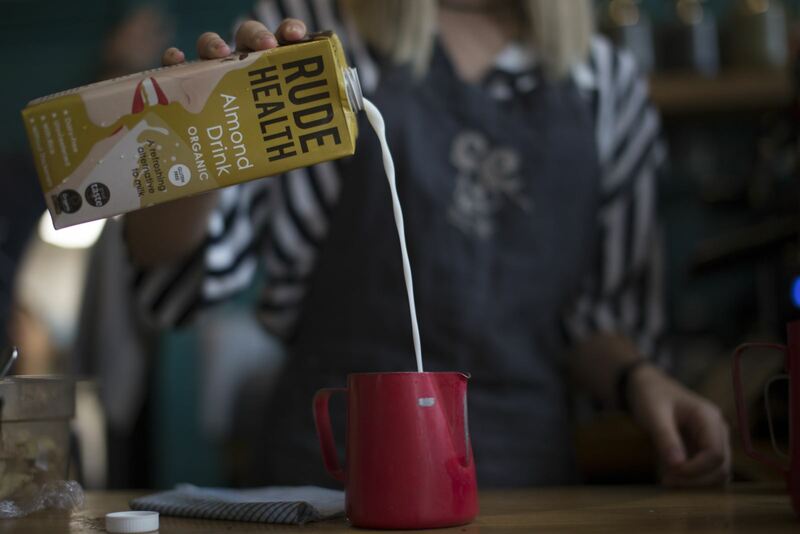 Located upstairs in Sweaty Betty, you will find an extremely vegan friendly menu of rose lattes, the best avocato toast in town, breakfast bowls and superfood cocktails. Sit back and relax at Chai by Mira and enjoy the Chai heavan. Try various Chai's and modern Indian recipes many of which are vegetarian and vegan friendly. 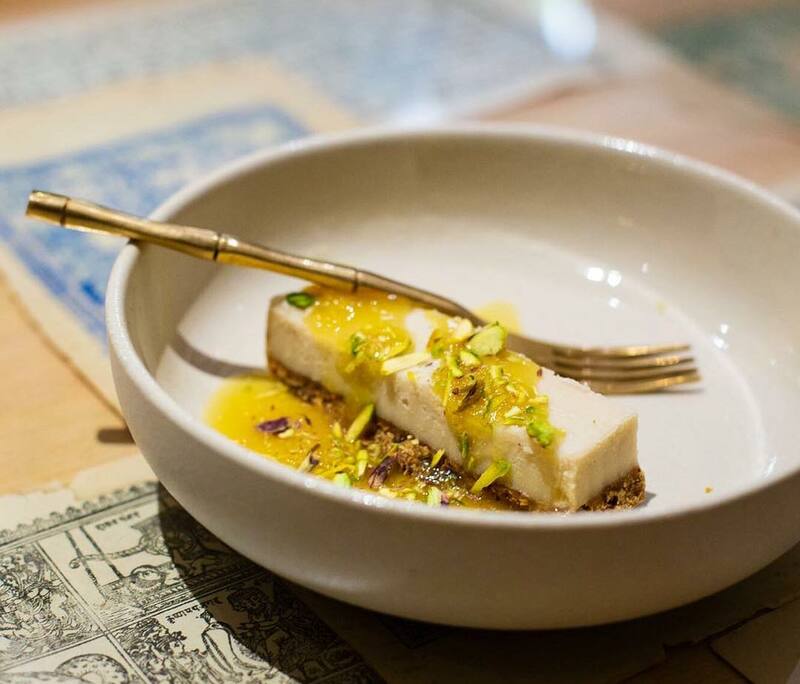 Why not try their vegan Saffron key lime pie. It looks as good as it tastes. The essential on every Vegan's list...the best vegan burger! Look no further, you can now indulge on the Love burger at Leon. A beetroot soya patty toped with their burger sauce, Carolina mustard mayo, tomatoes, pickles and a slice of smoked gouda-style vegan cheese. Whats not to love.